Avocados, avocados, avocados. So trendy, right? We are just as in love with avocados as the rest of the world and we don’t care who knows it! This avocado spread is one of our favorite recipes. It goes with just about everything and is a healthy snack that is keto, vegetarian, easy to make, and so delicious! All About Avocados: Fruit or Veggie? I don’t know many people who would say “I don’t like avocados”. I have always loved the creamy texture and earthy taste of this heavenly fruit (yes, I said fruit). The avocado is technically a single berry seed! Crazy, right? I do categorize an avocado as a savory food, but alas it is still, in fact, a fruit (check out this post by the Huffington post on other surprising facts about avocados). My love affair with avocados really began when I started dating Cole. Not only does Cole make an amazing guacamole (it’s a secret family recipe), but his parents live in San Miguel de Allende and there is an unlimited amount of ginormous avocados. The avocados in San Miguel are just waiting to be smashed into heavenly guacamole or turned into this avocado spread. Do you remember when Team Fit Foodie went to Mexico with the Healthy Maven? We went on an amazing avocado tour of Mexico (read all about Fit Foodie Maven does Mexico here). We learned about the life of an avocado from seed to distribution and our minds were blow. If you are on a low cholesterol diet, avocados have no cholesterol or sodium! Avocados are packed with healthy fats. If you are following a keto diet, avocados are a great keto snack. Avocados are packed with fiber! 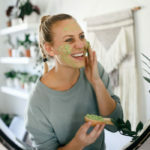 Avocado oil is rich in fatty acid that is a great moisturizer for your skin! 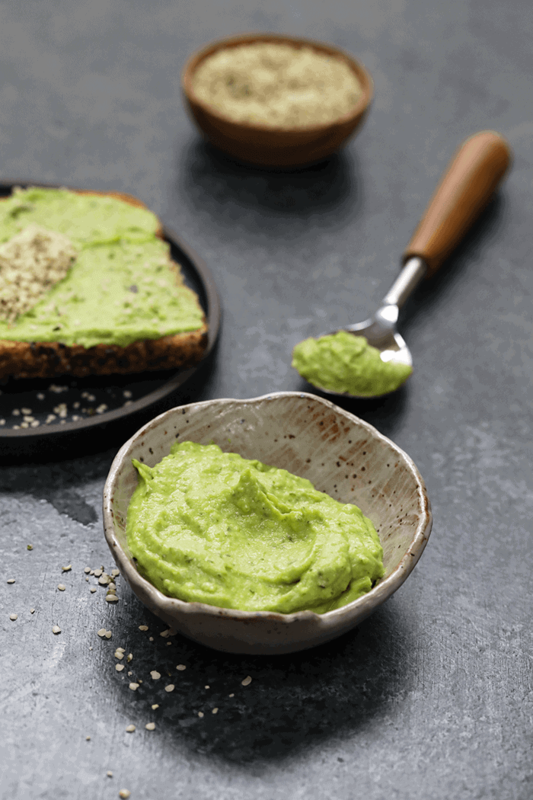 We turned this avocado spread into a recipe because it is a staple in our diet and we wanted to share it with all of you! It is a great option for those of you on the keto diet or if you just need to add some healthy fats to your diet. 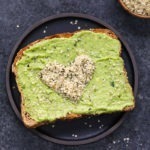 We love eating this avocado spread on toast or it makes a great addition to any of our meal prep bowls. Now, we know some of you are not huge cilantro fans and that is OK! Swap out the cilantro and lime juice for basil and lemon juice. It is just as delicious AND nutritious! 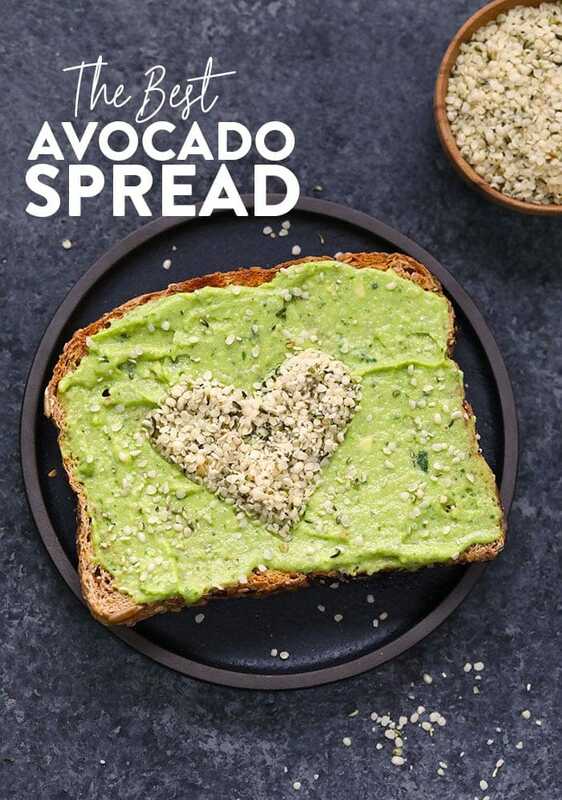 Just like that, you have an avocado spread that you can spread on to toast, top bowls, or just eat it right off the spoon. We don’t care how you eat it, just let us know if you like it! If you need a little insiration on what to serve with your avocado spread, we made you a list! Place all ingredients into a high-speed food processor and blend until smooth. If you’re having trouble blending, add a little bit of water, up to a tablespoon!